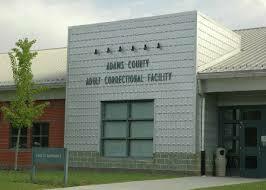 Below you have the street address and mailing address for Adams County Correctional Institution. Use the mailing address if you are mailing a letter or package to an inmate at Adams County Correctional Institution, and make sure to use the physical address if you need to know the actual location of Adams County Correctional Institution. Use the street address if you plan to visit a prisoner. Be sure to read over the Inmate Visitation Procedures and Inmate Visitation Schedule sections on this page if you are going to try to visit an inmate here. Inmates can’t take phone calls, so you won’t be able to call your inmate, however, there are times when it might be helpful to know the telephone number to the prison. Federal inmates don’t have fax machines, so you can’t fax the inmate, but there are cases when it may be helpful to know the fax number to the prison. The email address listed below is the main email for Adams County Correctional Institution. You can’t email inmates at this email. If you are going to email a prisoner, read the Inmate Email section below. To send an email message to a prisoner you must follow an exact process to ensure that the email message gets to the inmate. Federal inmates are allowed to email letters only to persons that are on their approved contact list. An prisoner has to make a formal request to recieve and send emails with a person by placing them into their contact list. All email correspondence is monitored. prisoners give their consent to being monitored when they join the program. Family and friends of the inmate must consent to being monitored when they agree to correspondence with the prisoner and are reminded every time that they get an email message from the prisoner. When a contact is added to an inmates contact list you will get an email notification which sends them to the CorrLink system at www.corrlink.com. Email messages must not endanger the public or the security, safety, or operation of the prison facility. Also, the emails should not exceed 13,000 characters. Emails that are not consistent with these rules will not get delivered. Federal inmates are not permitted to access the web. There are certain procedures that you must follow when sending mail to a inmate. If you don’t follow these rules then the mail might not make it there. Adams County Correctional Institution staff do open and inspect and read all received general correspondence. Received general mail can be read as frequently as deemed necessary to keep safety and security or watch a problem regarding an inmate. Every federal prison has a Commissary which was created to provide inmates an account for prisoner money and for buying things not issued regularly by the facility. Family, friends, or other sources can deposit money into these Commissary accounts by sending it by Western Union and the U.S. Postal Service. The deposit have to be in the form of a money order that is made out to the prisoner’s full committed name and complete eight-digit register number. It is best if you use a postal money order, since all non-postal money orders processed through the National Lockbox will be kept for a 15-day hold period, in which the prisoner will not get the money. The Bureau of Prisons will return funds that don’t have correct prisoner info but only if the envelope it was sent it has an adequate return address. Cash and personal checks will not be deposited to the prisoner’s account so do not send any cash or checks. At a physical location using cash. In order to locate the closest agent, you should call 1-800-325-6000 or visit www.westernunion.com. By phone with a credit or debit card: Call 1-800-634-3422 and choose phone promt option 2. If the wrong register number and/or name are used and accepted and sent to that inmate, funds might not be returned. Federal inmates are frequently transported to different correctional facilities throughout the country, so you might need to locate where an inmate is located using the inmate locator. Follow the link here to locate an prisoner. Every federal prison has its own procedures for prisoner visitation and they get changed frequently. The rules listed here could be out of date now, so be sure to also go to the facility’s official website to find the latest visitation rules. The entrance guard will make sure each visitor signs the prison visitors log upon entering the prison and upon departure. Photo ID of all visitors is required. Acceptable forms of ID are Driver’s License and Social Security Card; although, a state issued photo id is OK. Trying to find a correctional facility job? Have experience? Have you worked at a prison in the past? Have you ever been incarcerated in Adams County Correctional Institution? Do you have a friend or family member there? Have you ever been to visit an inmate there? If you have, then we would like you to tell us about it. Tell us about your experience so other people can find out what to expect.